This is Radio Shack's UHF double bow-tie antenna, perfect for tuning out pesky ghosts. The only problem is that it doesn't receive much sitting on top of the TV. Elevating it a few feet turns snow into a clear picture. The antenna mount is made from lightweight angle braces. The side meeting the wall has been cut short and a new hole was drilled for single screw mounting. The upper antenna hook is a diagonal slot into the existing screw hole. 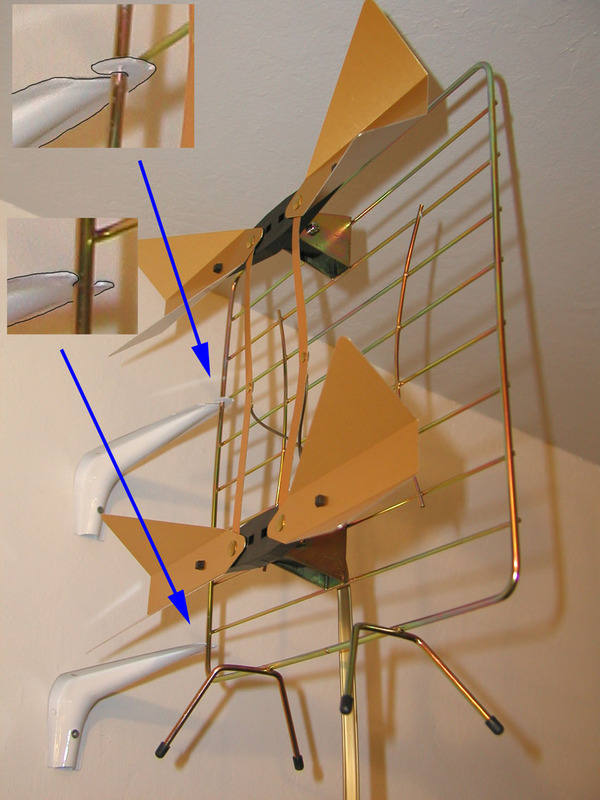 The antenna can be removed or re-inserted by by tilting it towards the wall. The lower antenna holder is a cut across the existing screw hole. The edges were rounded off and white epoxy paint was sprayed over the cuts. I used to have an all-in-one amplified antenna. It somewhat worked for UHF but not well at all for VHF and FM. FM signals overloaded everything while the rabbit ears were up. With them down there was little VHF reception. In the new system, the FM radio taps into the rabbit ears before the amplifier. A true VHF/UHF combiner merges the two antennas so they operate independently. 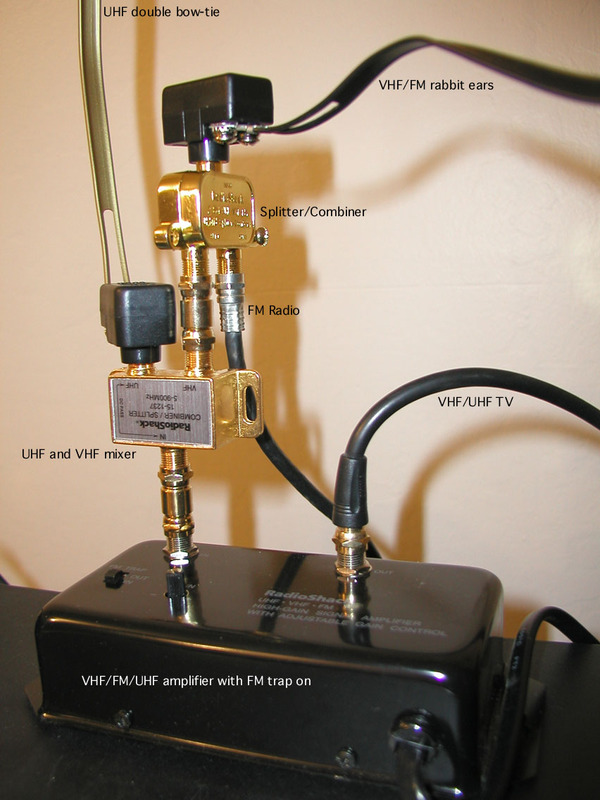 The VHF/FM/UHF amplifier has a built-in FM trap switch to prevent overloading.